As the top issuer of tax-exempt debt in the nation and one of New York’s biggest builders, there is much that DASNY can, and does do, to break the glass ceiling that has blocked women from reaching the top tiers in their careers. Both the finance and construction fields have long been dominated by men. By strengthening DASNY’s minority-and-women owned business enterprises program and looking within its own walls, DASNY is helping New York set a new course toward equal opportunity. In March -- Women’s History Month -- DASNY highlighted its ongoing efforts in this area to its partners and its staff. 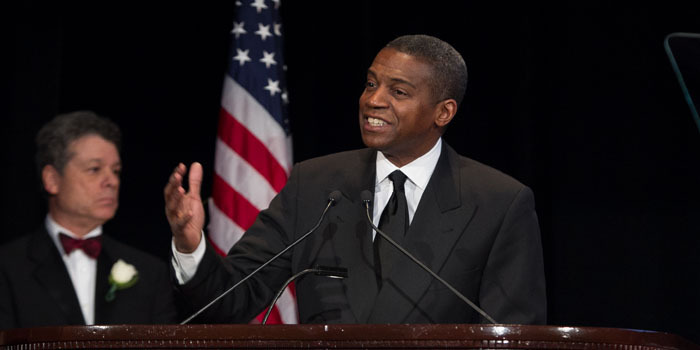 “I am striving to push through barriers,” said Gerrard P. Bushell, DASNY President & CEO. “Women’s History Month is a firm reminder of the role we play in fashioning a future without a glass ceiling. We are all stronger and more competitive when we all rise together as one state." Few projects show DASNY’s achievements better than the $350 million Bronx Behavioral Health Campus. DASNY completed the project in January on behalf of its client, the New York State Office of Mental Health (OMH). A significant portion of the project managers from DASNY and its private sector partners were women, as described in this video. The project also surpassed the 30 percent MWBE participation goal set by Governor Andrew Cuomo. DASNY’s Board approved up to $770 million combined in financings for Columbia University, Cornell University and Fordham University at its March meeting. It is a portfolio of internationally recognized preeminent institutions at the forefront of higher education. 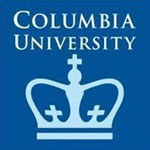 Columbia will use a portion of its expected bond sale to help fund its redevelopment of a section of West Harlem as it extends its campus. By growing its footprint, Columbia will be better positioned to shape the minds of a new generation of leaders. A portion of Fordham’s financing will reshape its Lincoln Center-area campus. Students will have access to an upgraded and expanded library, and a new student center. These are key components to attracting the best minds to the university. 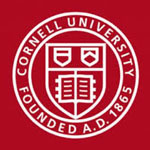 Cornell will find savings by refunding bonds it previously issued through DASNY. Those savings can be reinvested in its campus so it can provide improved tools and programming to students. A portion of Columbia’s and Fordham’s financing package also includes refunding. This work builds on the public-sector bonds that DASNY issues on behalf of New York State, including about $6 billion in the current fiscal year. DASNY was honored this month by the American Council of Engineering Companies (ACEC) of New York with the Award of Merit for its advocacy in using alternative delivery methods, encouraging RFP responses from small firms and development of new building information modeling (BIM) standards. DASNY has successfully used Construction Manager at Risk to avoid cost overruns. The Authority is also securing consultants and conducting in-house training to further expand its methods, including public-private partnerships. Lowering costs for DASNY’s clients can mean wider programming options for students and more books on the shelves of New York’s libraries. DASNY also has created a program that targets project awards to architectural firms with 10 employees or fewer. Similar to the goal with MWBE contracting, partnering with smaller firms helps ensure opportunity is spread equally, giving large and small a chance to survive in a competitive marketplace. DASNY developed BIM guidelines for use on all projects, making DASNY one of the first New York State public entities to publish them for the professional design consulting community.